There's nothing like a big breakfast at home, and I don't mean just the food. It's having the time to lounge around and enjoy a leisurely breakfast in your PJs while spending time with your family. However, even on the weekends it is rare to have the time for a lazy breakfast. One of my favorite things to make when I cook a big breakfast is a fritatta, but who has time for that on a busy weekday morning? 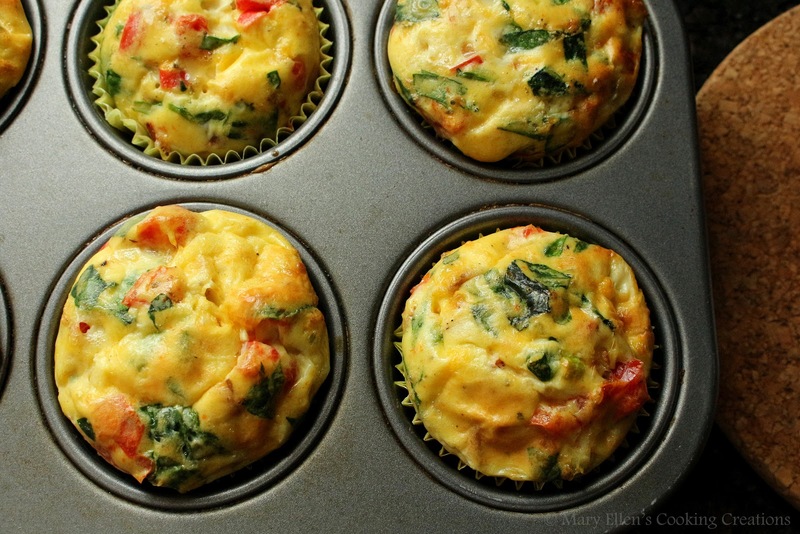 Just because you don't have the time for a fritatta doesn't mean you need to grab a bagel and run. Instead, turn your favorite omelette or fritatta into a muffin and you have breakfast that will travel easily and reheat well. For meat I often use ground breakfast sausage, but you can also use cooked, crumbled bacon or diced ham. My veggies are usually red onion, tomatoes and spinach, but you can really use anything you want - green onions, peppers, kale, arugula, broccoli, small pieces of cooked, diced potato, asparagus, etc. Once cooled I wrap them in packs of 2 and will reheat them for breakfast for up to 3 days. To reheat, just pop them in the microwave on medium for 15-20 seconds. In a large mixing bowl, beat eggs with salt, pepper, and cream. Stir in the cheese, if using. Heat olive oil in a saute pan; add meat until browned. Add veggies and cook until tender. Add veggie/meat mixture to eggs and stir. 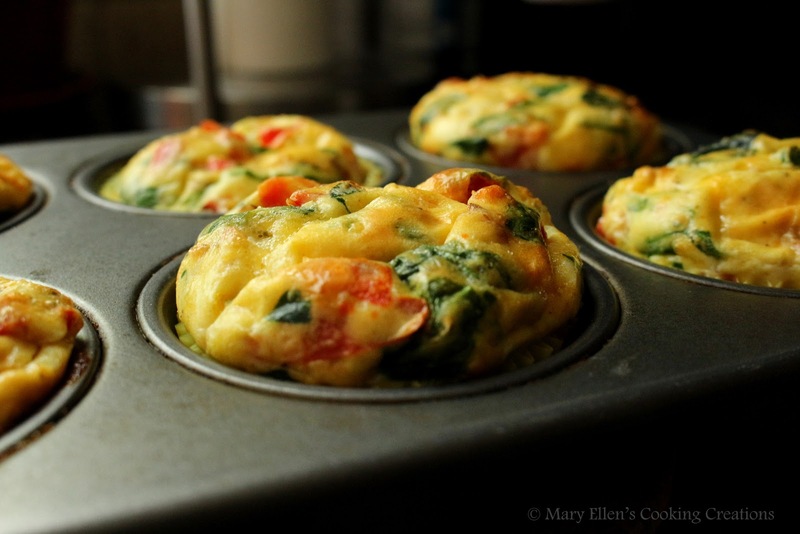 Ladle egg mixture into muffin tins, filling to 1/4 inch below the top. 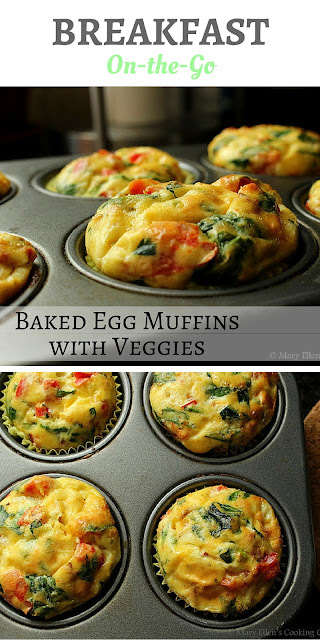 Bake 15-20 minutes, or until the eggs are set and the tops just start to lightly brown.